Comply with safety policies of federal authorities and mark hazards with appropriate signage. 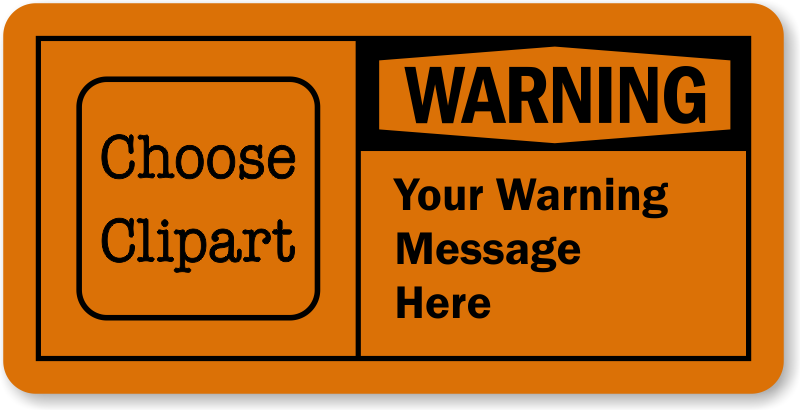 Add your own text and picto to our OSHA compliant design and create your personalized Custom Warning Label. Laminated Vinyl provides superior tear-proof strength and added durability. Label is weatherproof, tear proof, waterproof, and resists chemical spills. Aggressive adhesive backing prevents peel-offs. Available in different sizes to suit individual requirements. just as we wanted and just as advertised.Great pricing as well !